Ra277 Ille Cézembre M.K.B. 'Ostwall', K.V.U. Gruppe Festung St Malo, K.V.Gruppe Rance. Ra277 Ille Cézembre M.K.B. Batterie 1./M.A.A.608. 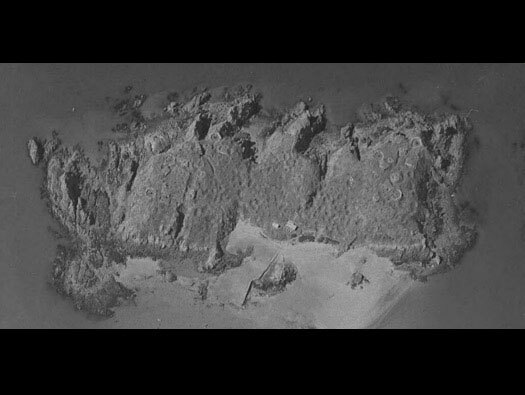 Ra277 Cézembre an island off the coast of Dinard and St-Malo, with six ex French railway guns placed on 360deg mounts in open emplacements. 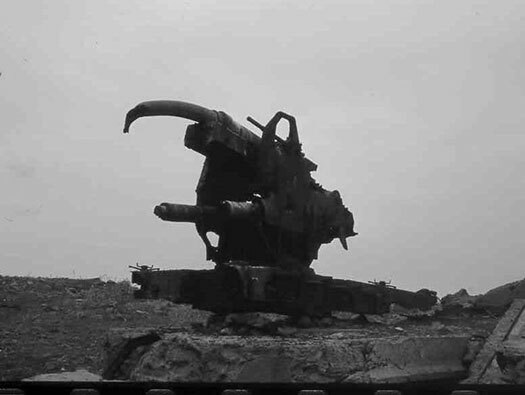 There was a battery of Italian Flak using 7.5cm guns. A fire control bunker and many other bunkers, shelters and huts. 1 x M157 Fire control for med/heavy batteries. 6 x Geschützstellung (gun emplacement). 5 x R622 twin group bunker..
2 x R635 twin group with forward apron. 6 x S302 Ammunition depots. 1 x Vf61 mortar Tobruk. 1 x R667/SK 5cm KwK. 2 x Stolen (Souterrain [underground]). 6 x 19,4 cm K.M 486 (f). 1 x 15 cm S.K.L/45, Lag. 6 x 7,5 cm Flak M36 (f). 2 x 4 cm Flak 28 ('Bruck-Insel'). 2 x 2 cm Flak 38. 2 x 2 cm Flak 28. About 280 German, and 70 Italian soldiers. 19,4 cm K.M 486 (f). M157 Fire control for med/heavy batteries The one here has a few adjustments to the original plan. Original fire control using a range-finder surrounded in sand bags. There are no trees due to the amount of ammunition fired on the island during its capture. You can see a lot of the bunkers and gun emplacements arranged around the island. One of the most bombed areas on earth. 12 = M157 Fire control for med/heavy batteries. 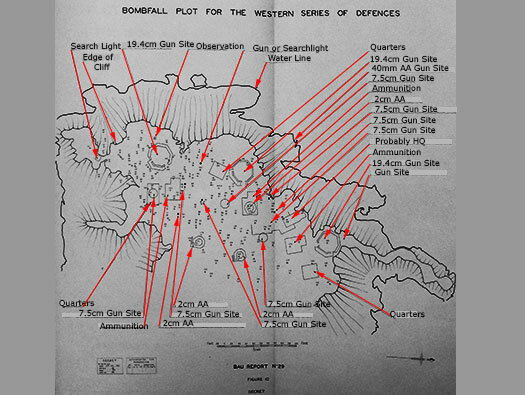 11 = the six open emplacements for 194.5cm guns. 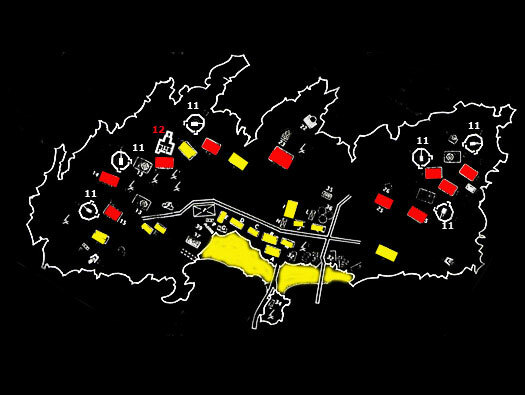 Red bunkers are ammunition & Yellow bunkers are accommodation. 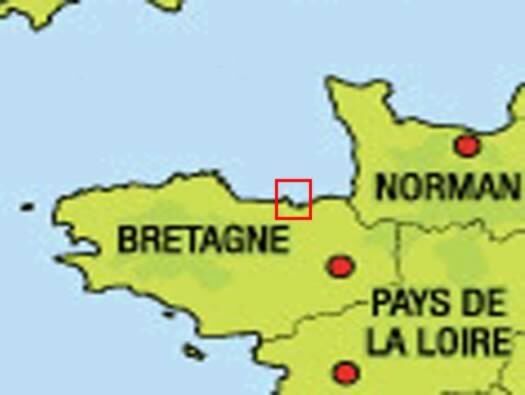 It was decided in 1942 that the island needed to have a naval battery to cover the important port of St Malo. The island has no fresh water supply and water was delivered daily by supply boat. After the liberation of St Malo, on the 18th of August 1944 the island was on its own and gradually the supply ran out and they capitulated. 7,5 cm Flak M36 (f). The island is in three parts, left, right and the beach in the middle. This is the left or west side. View through an optical range finder. One of the first uses of Jellied Petrol or Napalm. 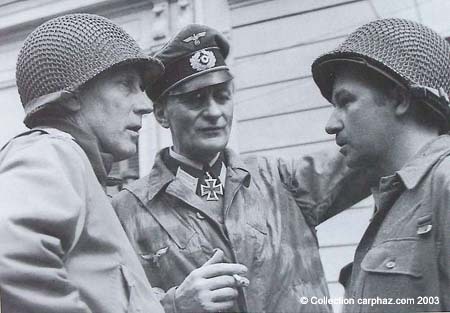 The capture of Colonel Andreas von Aulok earlier. There were mines and beach obstacles all over the sand. A 40mm Flak gun. There were several huts for accommodation barracks. Canadian Halifax squadrons, B17's, fighter, fighter bombers, every gun in the American arsenal at St Malo and many of the captured guns and batteries hammered away at the island. The right side with three more 194.5cm guns. The O. T. buildings, part of the early Vauban fort and an anti-aircraft searchlight. Built by the Organisation Todt the builders of most of defences. Ra277 Ille Cézembre M.K.B. The east side plan. 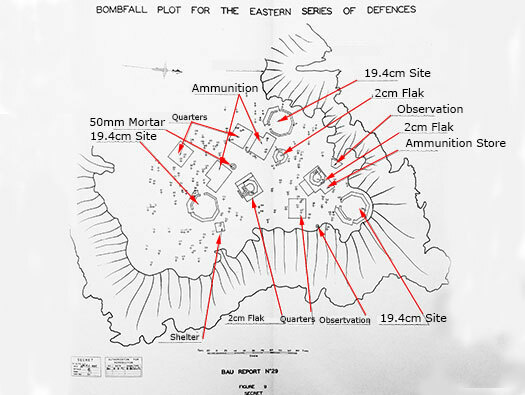 Allied plan of the bomb plot. Ra277 Ille Cézembre M.K.B. West side plan. R622 twin group bunker, three on the island. There were three R635 twin group with forward apron an early design crew bunker. Ra277 Ille Cézembre M.K.B. 19,4 cm K.M 486 (f). One of the 19,4 cm K.M 486 (f) in an open emplacement with an attached S302 ammunition bunker. 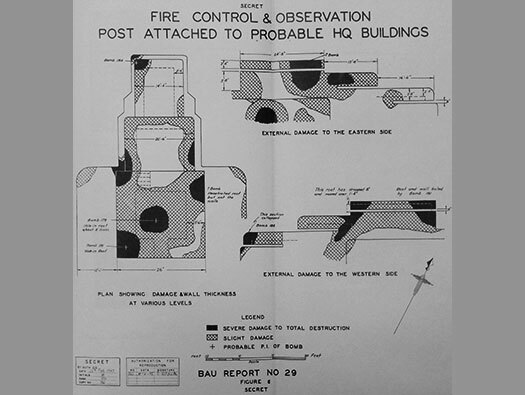 How the plan of the emplacement may have been with an open emplacement. S302 Ammunition depot with shells on one side and case in the other. 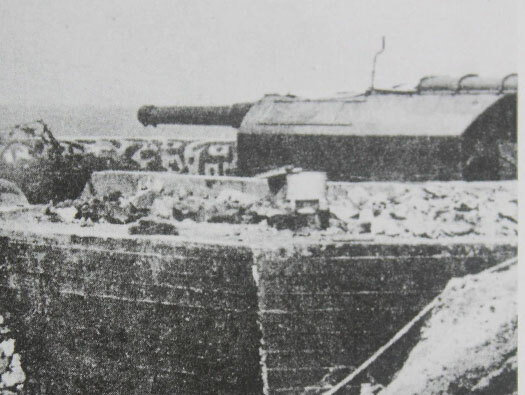 Before the July 1944 and the gun with its shield and camouflage paint on the concrete. 19,4 cm K.M 486 (f) open emplacement. Cases lined up ready to use. 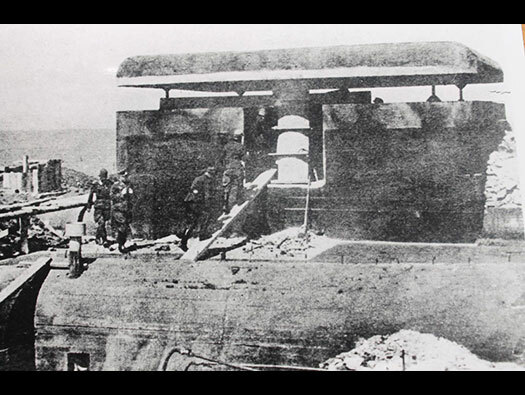 Nice large ammunition store and a hexagonal Tobruk..
A very battered gun with its barrel broken away. R157 Fire Control Post for a medium and large batteries. Situated just off the mouth of the Rance river the largest island is Cézembre, defended by the French for hundreds of years and then around 1942, re fortified by the Germans. Under construction. R157 Fire Control Post for a medium and large batteries. The rear of an R157 in the Gironde. Battered but its still recognizable. It must have been hell inside. R635 twin group with forward apron. R157 Fire Control Post for a medium and large batteries battered rear entrance. Ra277 Ille Cézembre M.K.B. Small observation. Observer using a scissor range finder. Ra277 Ille Cézembre M.K.B. Flak. 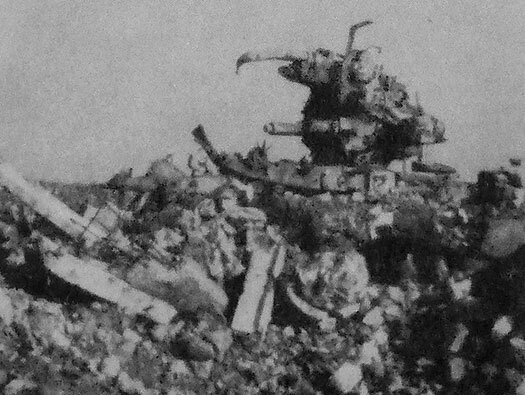 There was a battery of 7,5 cm Flak M36 (f) guns on the island and they were manned by Italian soldiers..
Italian soldiers belonging to an AA unit in the North African desert. 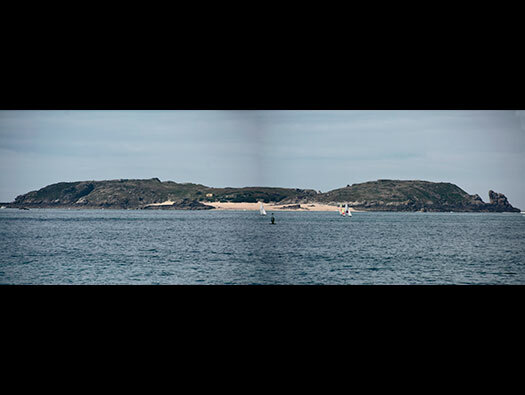 The view from Dinard. 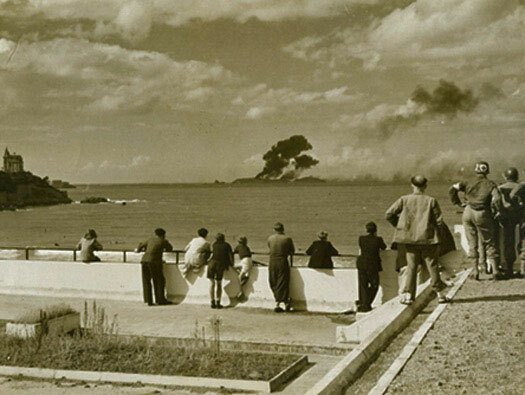 Locals watching the destruction of the island. History: Throughout the month of August 1944 the German troops on the island resisted the Americans and on Friday the 1st of September after very heavy bombing with approximately 19,729 bombs in all were dropped the surrender was arrange when the water ran out. 194mm M.L.E.1870 railway guns inn WW1. Then converted here to pivot mounts. 194.5cm gun emplacements and bunkers. Napalm. This was one of the first uses of Napalm. Ra277 Ille Cézembre M.K.B. US artillery. 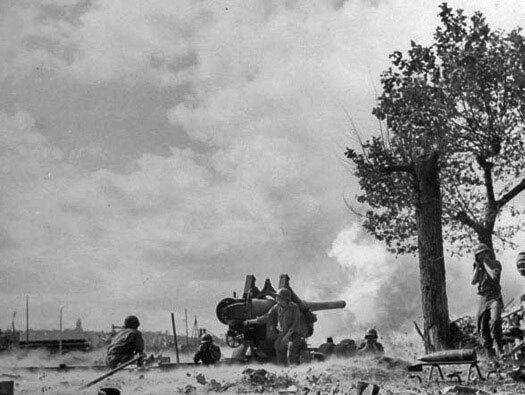 The Americans used every piece of artillery it had in its arsenal here and also several German captured artillery. 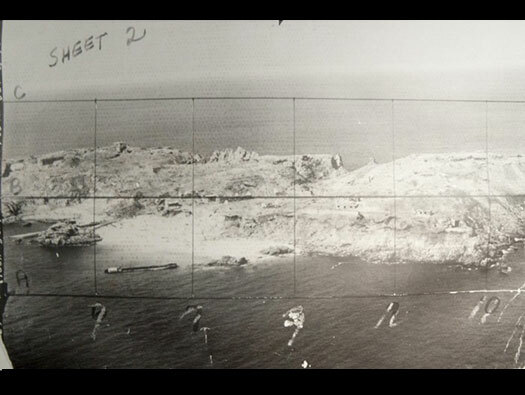 US reconnaissance photo. The Americans used every piece of artillery it had in its arsenal here and also several German captured artillery. Ra277 Ille Cézembre M.K.B. 7,5 cm Flak M36 (f). This is an after the action photo showing the damage and rubble all around. 7,5 cm Flak M36 (f) as it looks now. Capture Italian anti-aircraft gunners leaving. 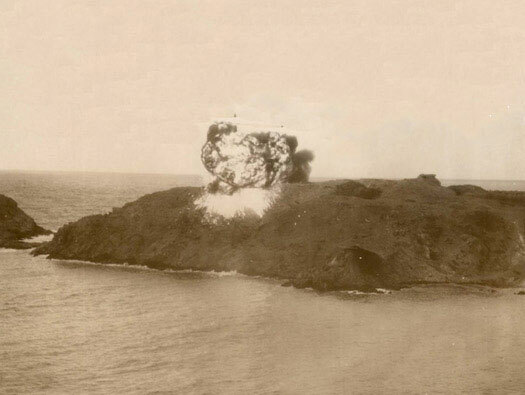 After bombing, shelling the islands commander was asked to capitulate but he had no intention and fought on, until the water ran out and the wounded grew. 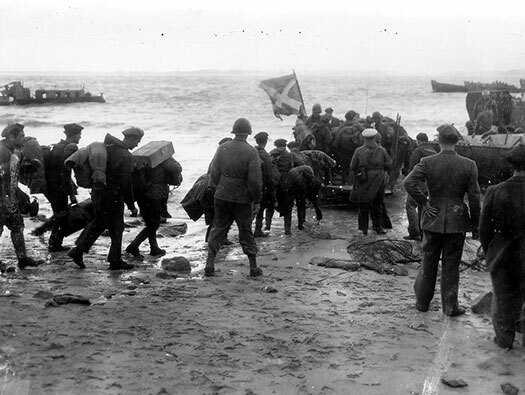 The Americans sent out a small landing craft and asked again and this time the commander surrendered the island.